The NRX 1043-4 offers superb line control for long leader presentations with small flies. If this rod weren’t standing too close to the sun, I would give it 5 stars. It happens to be the exact length, line weight and configuration as the Scott G2 883-4, however, so the comparison is unavoidable. If you like slower Loomis rods, this one is magnificent. If asked to name the greatest all-around 3-weight, however, I choose the Scott G2 883-4. This one is a close second. The actions are not identical: the Scott is actually a hair quicker than the NRX LP 3-weight. Either way, you couldn’t possibly regret your choice. 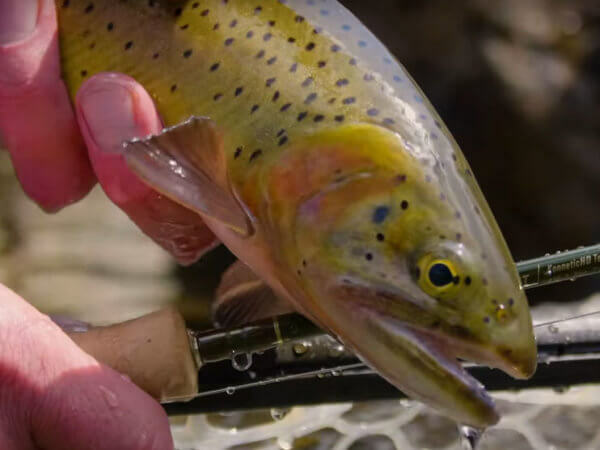 This is a superb dry fly rod on any technical fishery. Loop control, accuracy and overall touch are outstanding. The NRX LP 1043-4 should definitely be paired with a true-to-weight fly line with a long belly. I particularly recommend Rio Perception and SA Textured Trout Series lines.